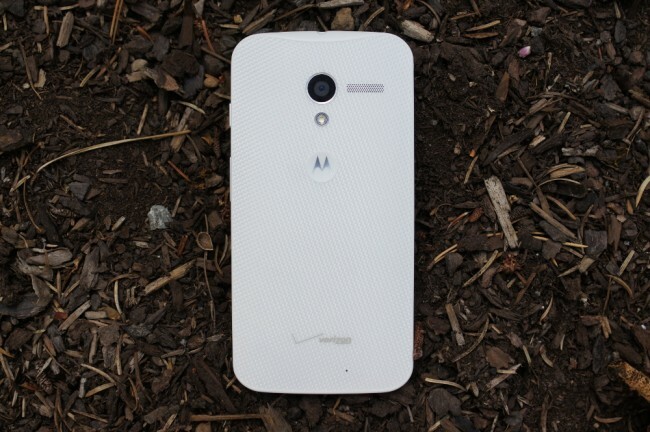 The Moto X has been both praised and criticized over these short few days since its unveiling. The praise seems to have come from those who have used the device (mostly press), while the criticism arose quickly from consumers once they saw the price ($199) Motorola had attached to a phone that – at least on paper – appears to have inferior specs to phones like the Galaxy S4 or HTC One. I don’t want to necessarily say that Motorola engineers and executives have been in damage control to defend the phone, but they have certainly been vocal in trying to explain their reasoning behind their hardware choices. One of Moto’s top engineers, Iqbal Arshad, sat down for a Q&A with CNET today to discuss his thoughts on the Moto X, why he thinks it has “world’s first” type of features, and why the technology used in the GS4 or One are inferior to what they have accomplished. This is certainly worth a read. If anything, at least jump to the last question where he talks about future customizable features through MotoMaker. For one, we are not using last year’s Qualcomm processor. It’s this year’s processor. It is a dual-core processor, but the thing people have to understand is that in mobile devices, more CPUs don’t necessarily mean better or faster devices. In fact, in most instances no more than two CPUs are being used at any given time. In order to save power, the algorithms controlling the device are often trying to turn off CPUs. In the stress tests we have conducted on competing devices, we launched 24 websites at once on the device, and none of the devices used more than two CPUs at once to do this. If you think about it, the market has been relatively stagnant. Everything is built on these standard chips and displays. And we are all trained to respond to those small incremental changes in these components. But Motorola’s vision is to really change how smartphones work. The small computers we carry around in our pockets aren’t really “smart.” I mean what can you do with the Samsung Galaxy S3 that you can’t do with the Galaxy S4? The answer is nothing. We aren’t developing technology for technology’s sake. But we are trying to make mobile computing more intelligent. We have come up with a new processing architecture that allows us to do things like touchless control without sacrificing battery power. For a Samsung or HTC device to offer the same kind of functionality would require three batteries. And that is the reason why no one else has done touchless control. Nobody has done it because it kills the device’s battery life. None of those other processors could do all the noise cancellation and offer the same level of intelligence and still be low power. What we have done with the Moto X has not been done before. It’s the world’s first. It’s hard because people are programmed by the industry to look at things like how many cores a chip has or whether the display is 1080p. That’s how chip and display manufacturers differentiate their products. But we’ve spent thousands of engineering hours building a new kind of processing architecture that will really change how people use their phones. First of all, what Samsung has done with the GS4 screen is not true 1080p. Instead, Samsung is using a PenTile display. Each pixel is made up of three color sub pixels. It’s missing one of the pixels. We are using a true RGB pattern custom display that gives true color reproduction without wasting battery life. Samsung is using a graphics processor, but they’re using it the wrong way and their performance is actually worse than ours. They are burning more battery life. In the case of HTC, they’re using an LCD screen, which is simply an inferior technology. Also, the human eye cannot discern resolution beyond 300 pixels per inch. And we exceed that. So the eye can’t even see the difference. But the human eye can see big differences in color saturation and reproduction. In fact, I’d say that is even more important than resolution. So we decided to focus on that aspect instead. We do have a road map for extending the capabilities of the device and customization in the future, but I’ll talk about that in the future. Yeah, I’d say Arshad has heard about enough when it comes to criticism of the specs of his Moto X. If you haven’t yet, be sure to read our Moto X review.